The NDP are delaying three more bills to the next legislative session, bringing the total to five — the maximum number of bills they're allowed to delay. The NDP are punting three more government bills to the next legislative session, bringing the total to five — the maximum number of bills they're allowed to delay. This bill would remove that board's ability to grant remedies under the Canadian Charter of Rights and Freedoms. 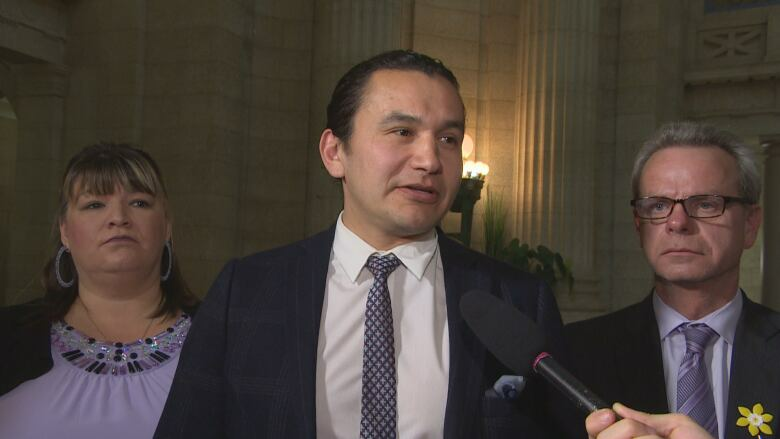 NDP Leader Wab Kinew says the change will affect Manitobans with disabilities, people living in poverty, even parents in daycares. "If you have your human rights violated, the government is trying to take away your right to have those decisions revisited," said Kinew. "We think it's totally a mistake. We think that people's constitutional rights, human rights, should be protected." This bill would amend 24 government acts to remove requirements that changes have to be published in a newspaper. Instead, the notices would be published in the Manitoba Gazette or online. Crown Services Minister Cliff Cullen said it will be a learning process for Manitobans to find out where to get this information, so implementation will be taken slowly. This bill deals with ministers' salary top ups when they don't meet budget targets. If the Progressive Conservative government balances its budget by the end of a second term, Manitoba cabinet ministers could get lump-sum paybacks of any money they were penalized for running a deficit. Cullen said Thursday that he believes the changes would make ministers more accountable. "Our intent is to protect taxpayers, recognizing we've had years and years of deficit government," he said. "We made a commitment to Manitobans we would make changes to our financial situation. We believe this is a mechanism that provides accountability, that makes Manitobans accountable, and taxpayers deserve that." On Wednesday, the NDP announced they would block the provincial government's omnibus red tape-reduction legislation, because it contains a clause that amends the Residential Tenancies Act to remove tenants' rights to complain to the residential tenancies director unless the increase exceeds the guideline. Cullen said the bill, which addresses 43 statutes and about 800 pieces of "red tape," is part of the government's plan to make it easier for Manitobans to "interface with government." Kinew previously told CBC said he's not opposed to the idea of a carbon tax but the current bill doesn't designate enough of the new revenue to support green initiatives. Because the Tories have a governmental majority, the bills are likely to pass in November. Kinew says he hopes to use the time between this session and next to convince Manitobans these bills aren't in their best interest. 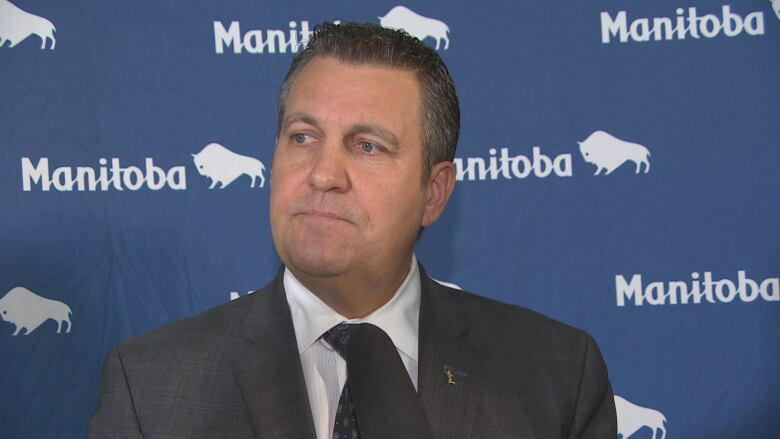 "We're always hopeful that Manitobans, when they learn … we'd have to persuade them. More likely we could persuade Manitobans who could persuade the government to back down." A suite of 10 bills passed second reading in the Legislature Thursday night during a 4.5-hour long sitting. The list of bills included two pieces of legislation related to the legalization and enforcement of cannabis, two bills that aim to improve government transparency and accountability, and a bill that would revive a traditional appointment that recognizes excellence in the legal profession. The sitting provided cabinet ministers a chance to explain their bills while giving opposition members a chance to ask questions. Health Minister Kelvin Goertzen read Bill 25 — The Non-Smokers Health Protection and Vapour Products Amendment Act (Prohibiting Cannabis Consumption in Outdoor Public Places), which lays out the province's strategy for regulating legalized cannabis in Manitoba. NDP health critic Andrew Swan and Liberal MLA Jon Gerrard asked Goertzen several questions about how the law would impact medical marijuana users and renters. Swan said the NDP shares the "common goal" of protecting Manitobans, but pointed out that the definition of an outdoor public space is broad and he worries about "unintended consequences." Gerrard asked if there might be some exemptions made for medical marijuana users or for large outdoor events like the Winnipeg Folk Festival. Goertzen replied that "we're not there yet," saying the legalization of cannabis is a significant policy change and their advice from people in other jurisdictions that have legalized it is to "go slow." Justice Minister Heather Stefanson read the companion bill to Goertzen's legislation, Bill 26 — The Impaired Driving Offences Act. This bill sets out new rules for drug-impaired drivers, including including automatic licence suspensions for drivers who fail roadside tests for cannabis. Stefanson said the sanctions are consistent with what currently exists for drunk drivers. NDP justice critic Nahanni Fontaine questioned how reliable the roadside tests will be, pointing out that medical marijuana users might have a built up tolerance and higher concentrations of cannabis in their system. She asked Stefanson if those wit ha prescription to consume cannabis might be able to show that to officers when they get pulled over. Stefanson said that it doesn't matter if someone has a prescription, if they are impaired they shouldn't be driving. Fontaine also pointed out that lawyers have questioned whether a person's level of impairment could be accurately gauged by measuring the amount of THC in their system. Stefanson replied that federal legislation sets the legal limit. Gerrard asked whether a person's licence would automatically be suspended if they fail a saliva test, or whether officers would do any further tests to determine their level of impairment. Stefanson said that is the purview of law enforcement. Bill 22 — The Queen's Counsel Act, revives the Queen's Counsel, which the former NDP government disbanded. The appointment is made to recognize people in the legal profession who have made outstanding contributions to the field and the community. Fontaine said her party won't support the bill because they view it as another form of patronage. "This is an archaic piece of legislation they are bringing back." Independent MLA Steven Fletcher, however, called it a "fantastic" bill and encouraged everyone in the chamber to give Justice Minister Stefanson a standing ovation. Growth, Enterprise and Trade Minister Blaine Pedersen read The Employment Standards Code Amendment Act which he said would make it easier for employers to hire people under the age of 16 by eliminating the need for them to get government permission. Instead, young people who want to work in certain industries will go through a permit system that includes an online course, a textbook and a test, which can then be shown to employers. All the bills will now head to committees for further study before moving on to third reading and a final vote.